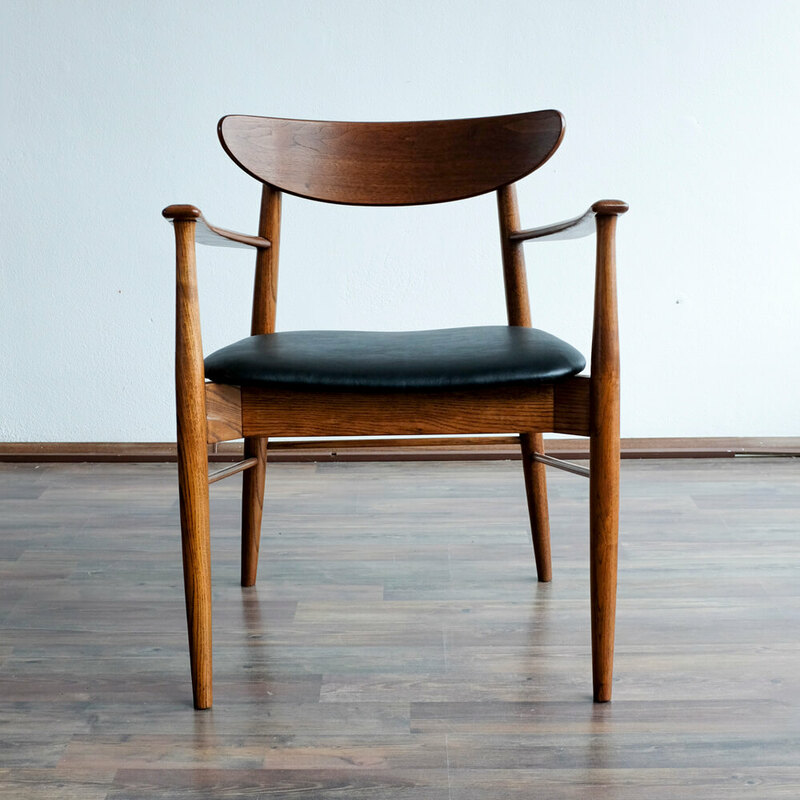 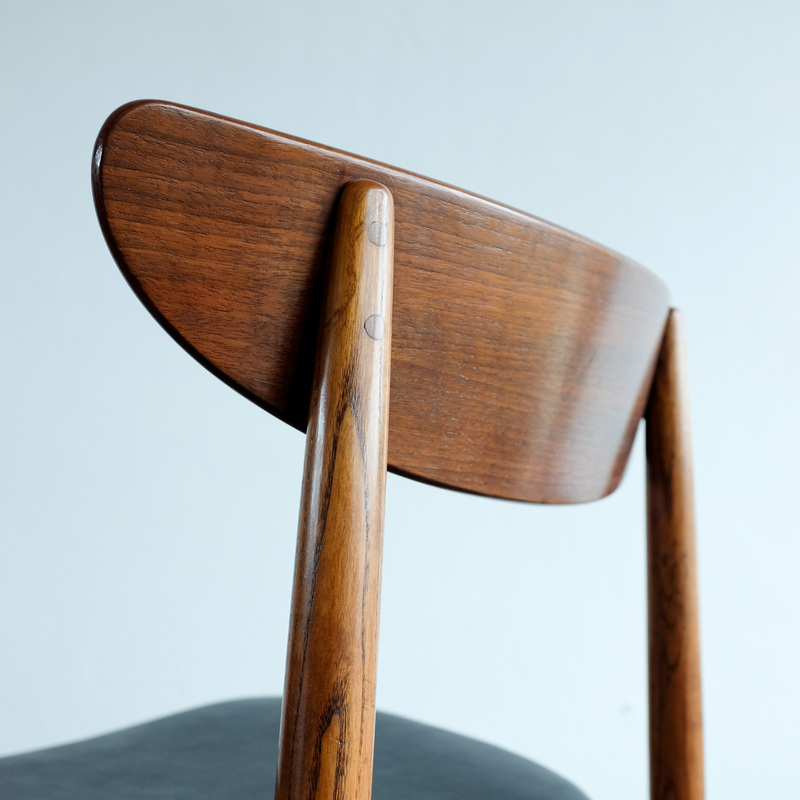 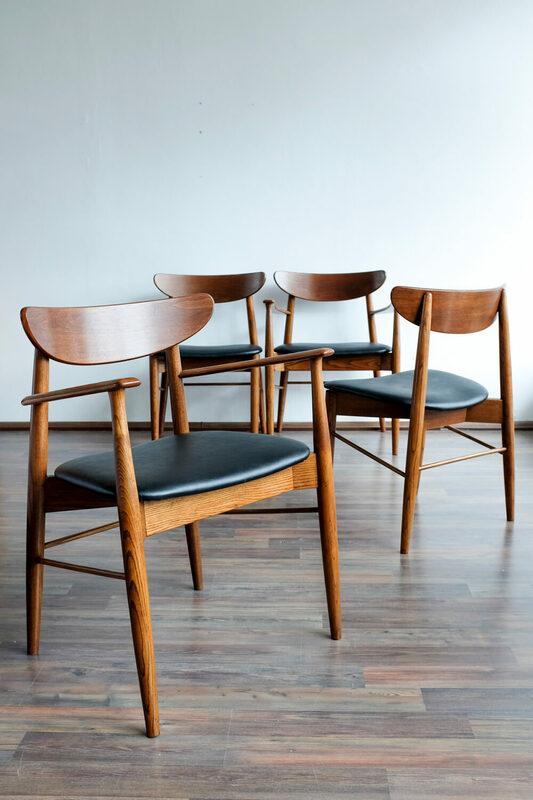 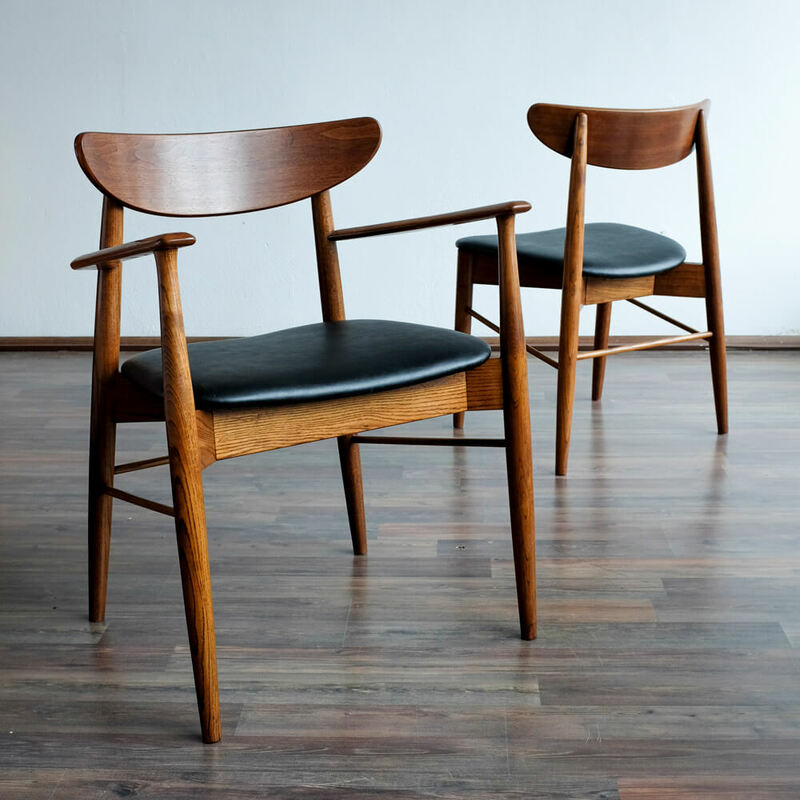 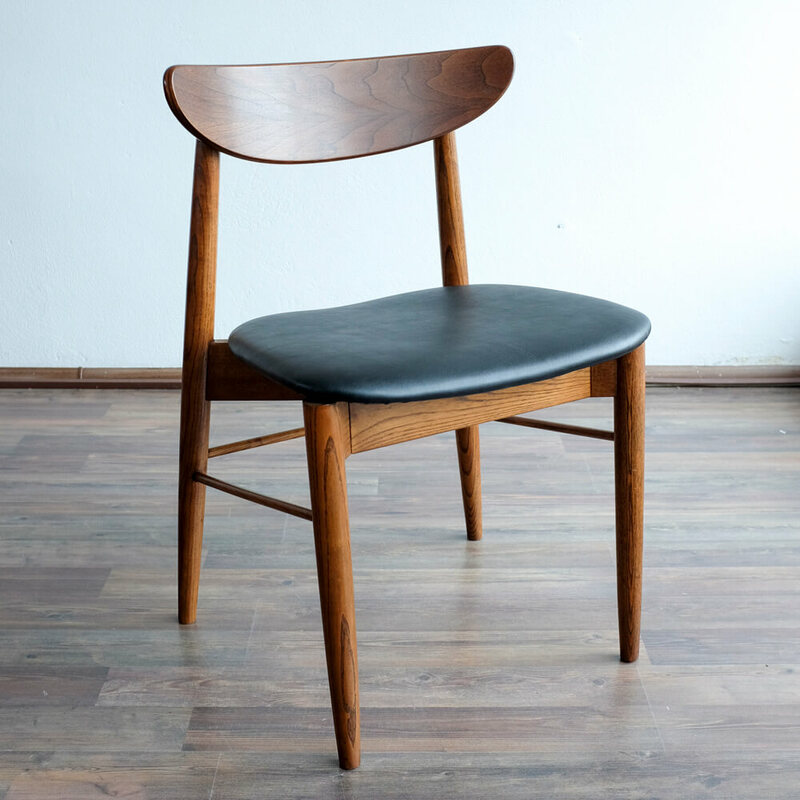 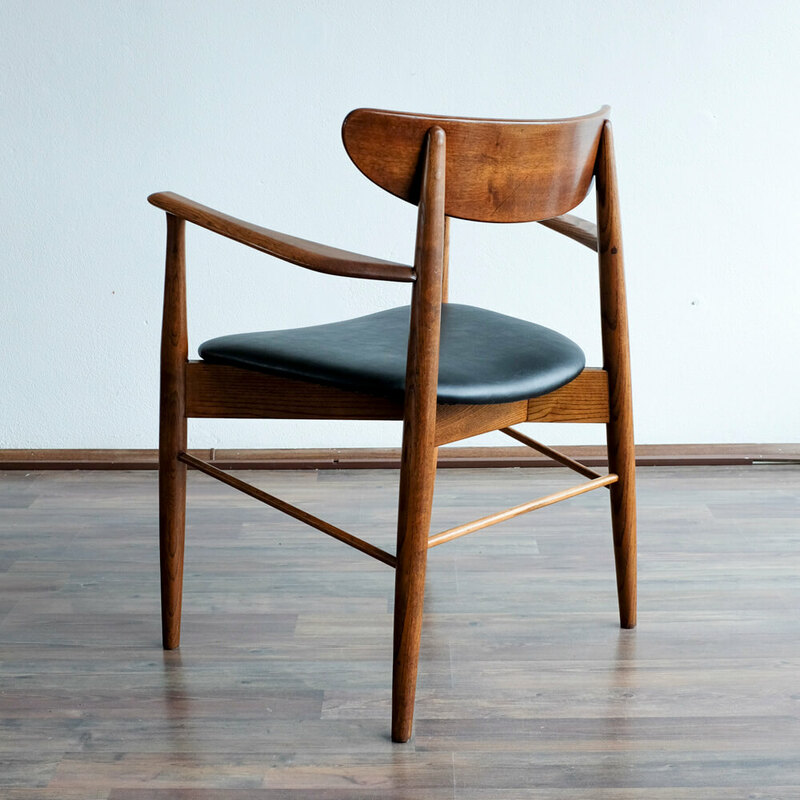 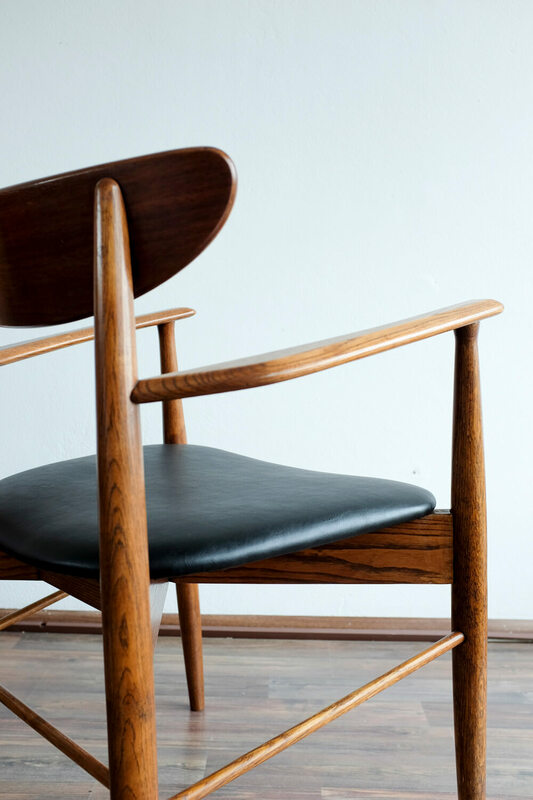 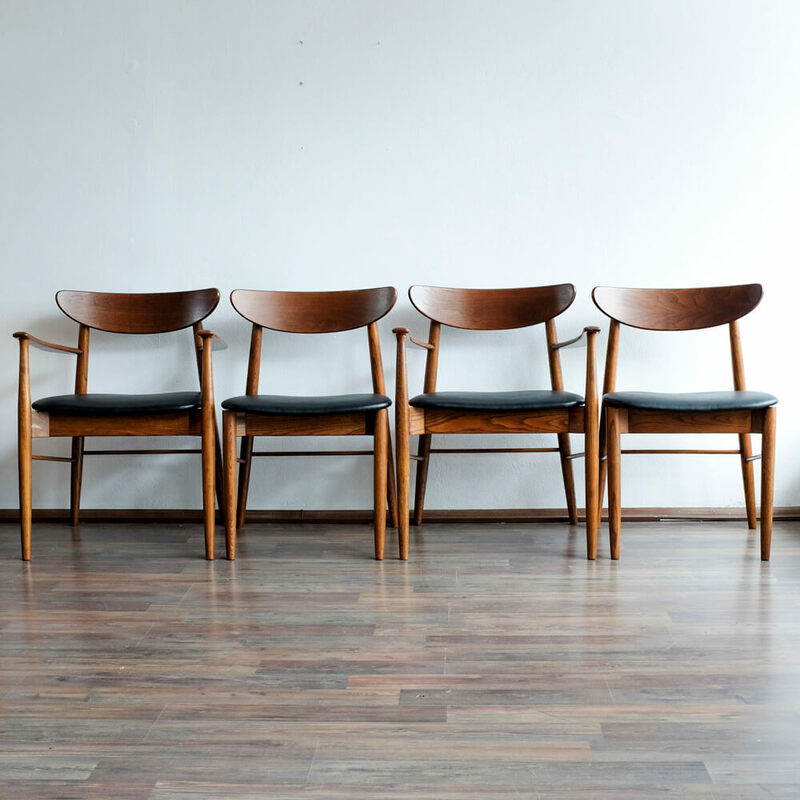 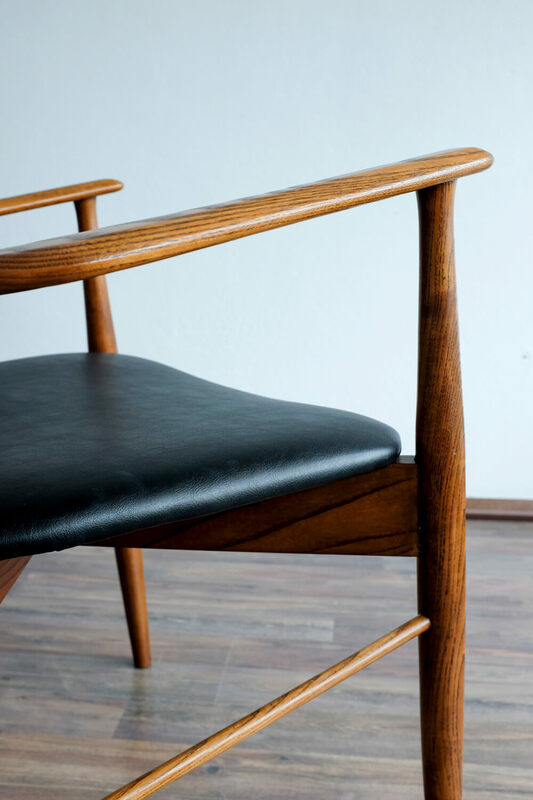 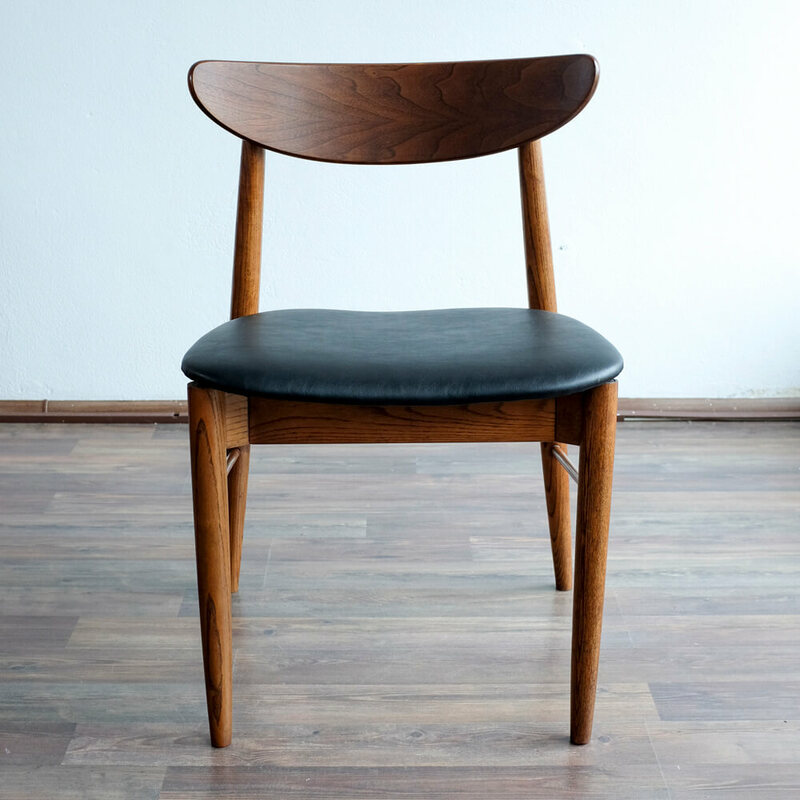 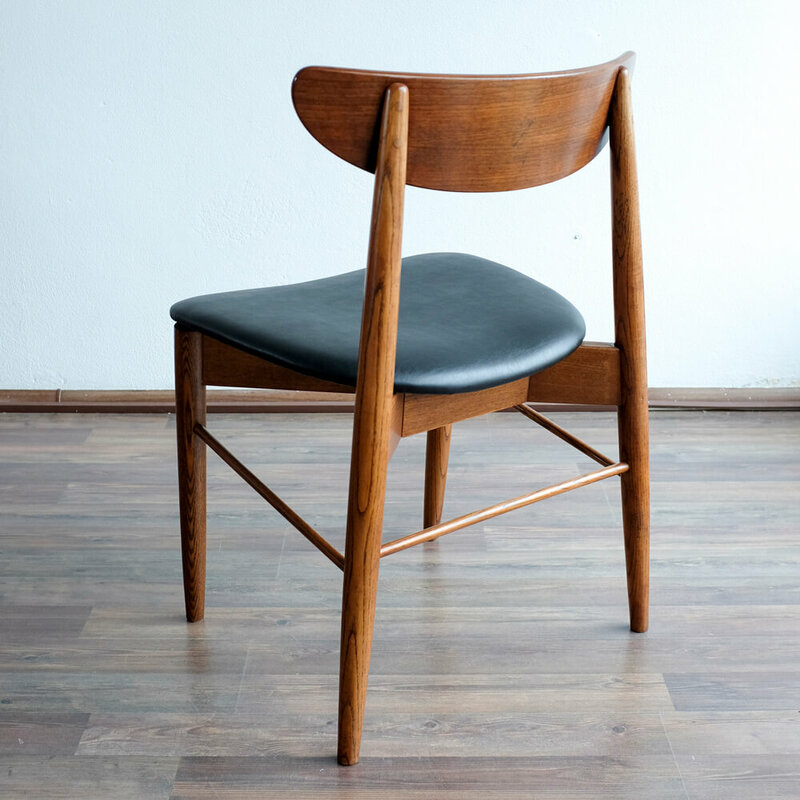 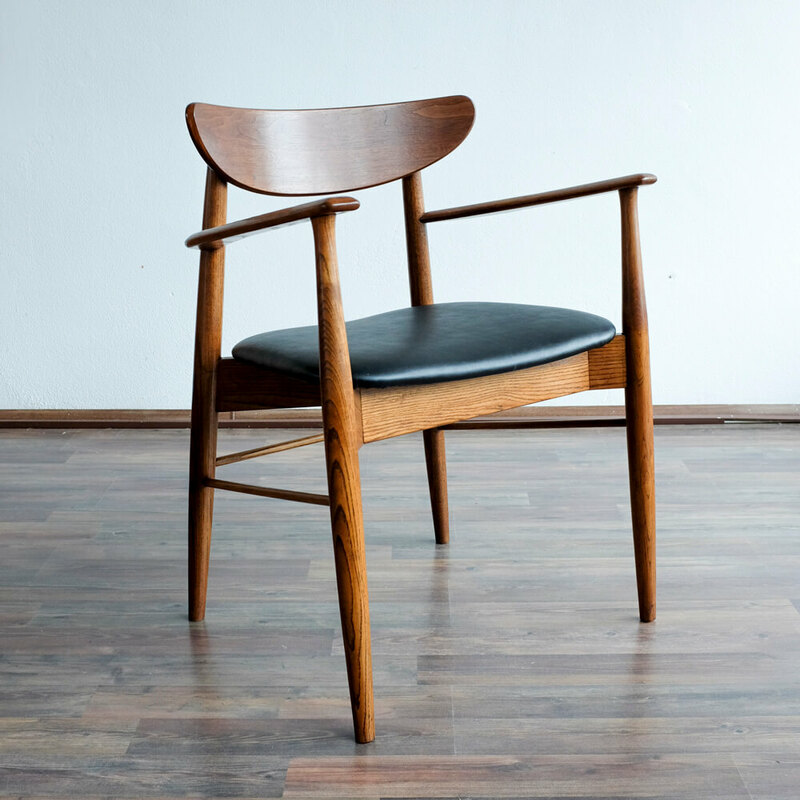 Set of 4 original Danish vintage chairs from the 50s. 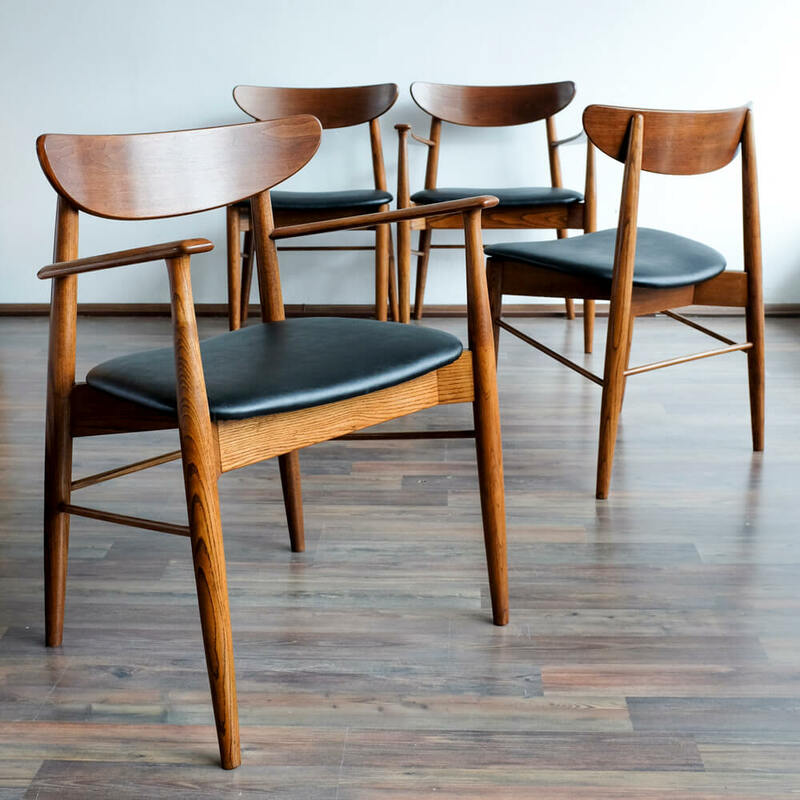 Two of them are with wooden armrests, two are without armrests. 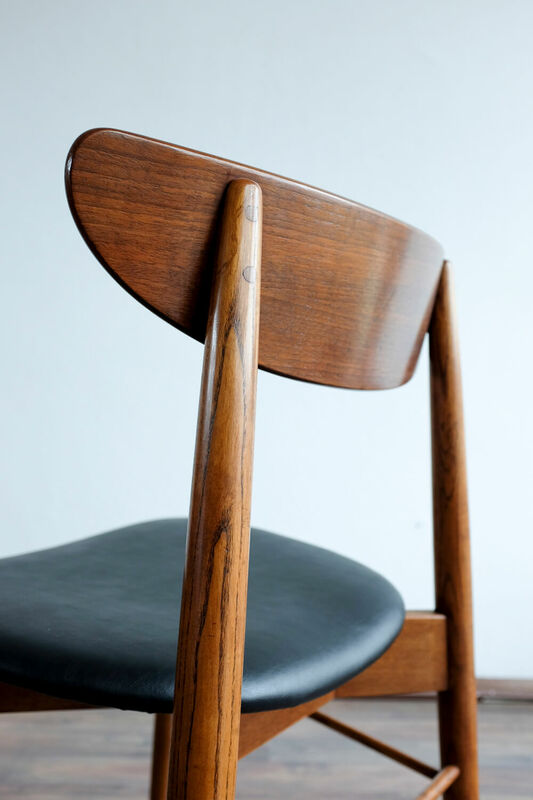 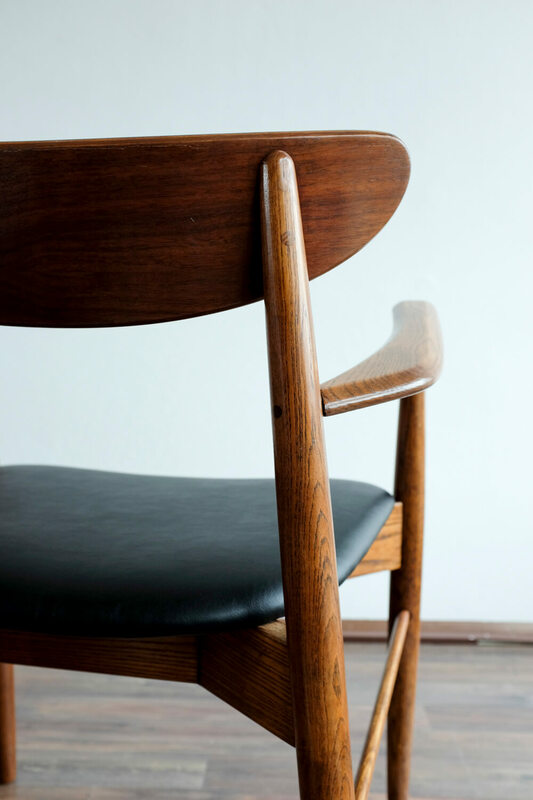 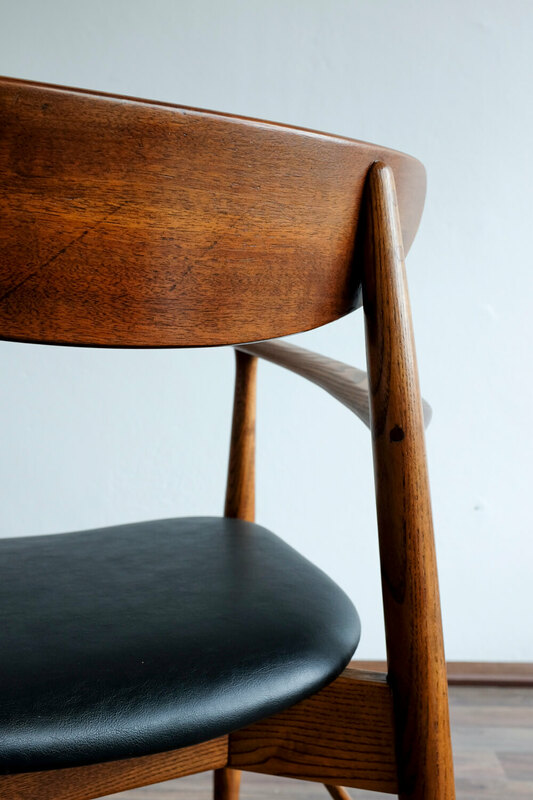 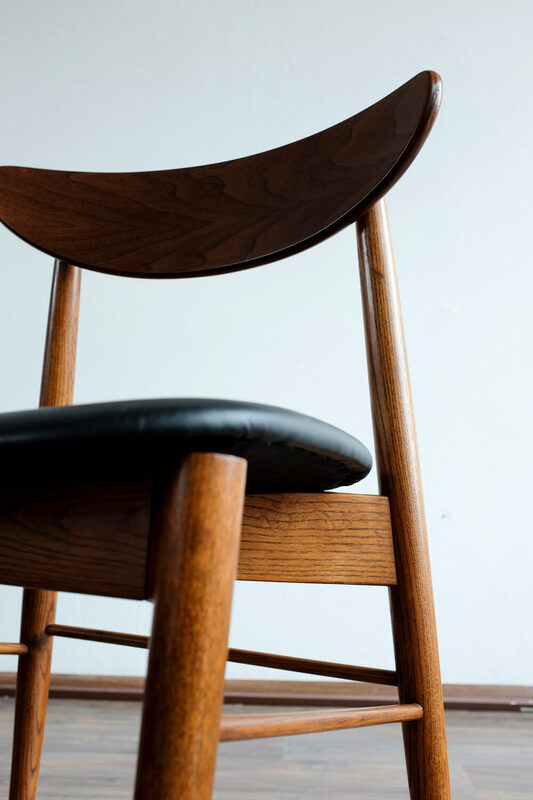 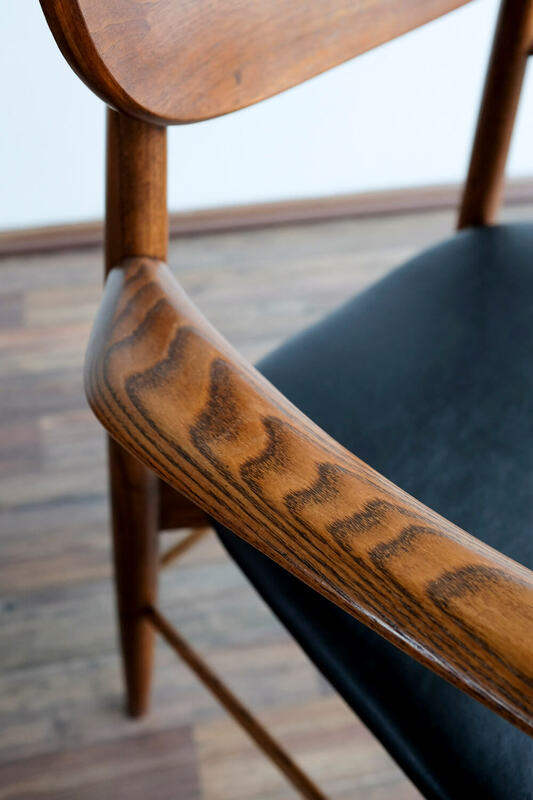 The chairs were completely restored and reupholstered to black leatherette. 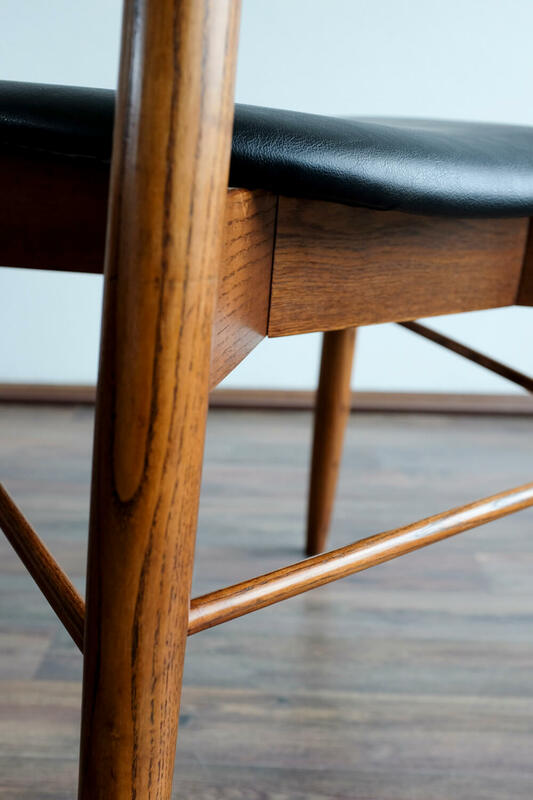 Solid construction is from oak wood. 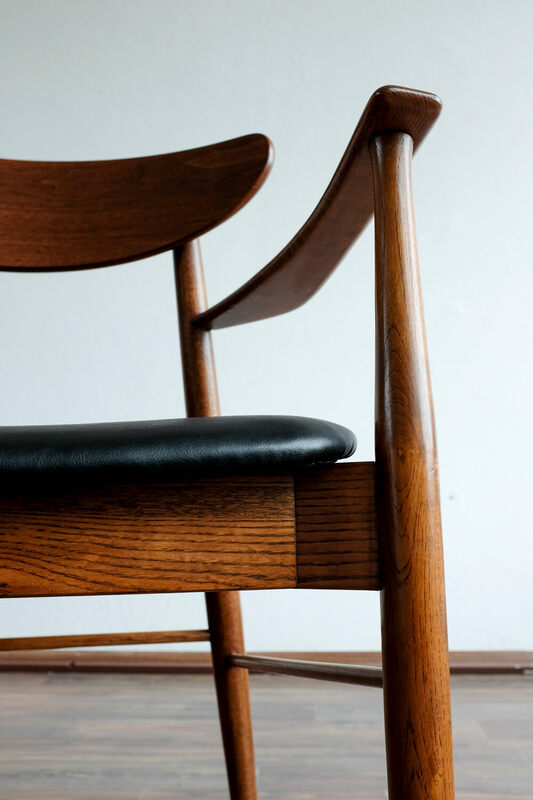 Beautiful timeless design.